Every year, 50,000 attendees come together in Chicago, IL to participate in Pack Expo International. With more than 2,500 exhibitors, 1.2 million square feet of show floor, and 40 vertical markets represented, it’s no wonder that this Expo has become so popular. Econocorp Inc., a recognized worldwide leader in cartoning, tray forming, and casepacking for moderate and lower production volumes, is excited to count itself among one of the exhibitors participating in this year’s Pack Expo International to inspire advances in the packaging industry. Attendees have the unique opportunity witness machinery in action, discover packaging trends, and build business relationships that support their own goals. Why Exhibit at Pack Expo? 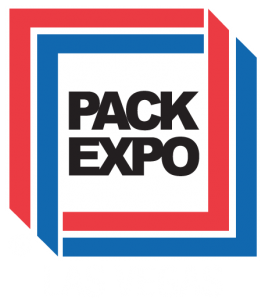 Econocorp and other industry leaders are exhibiting at Pack Expo in order to connect with 50,000 prospects, meet decision makers that need their products and services, and potentially break into new markets. Econocorp will be located in the South Building of the Pack Expo to exhibit and introduce its range of packaging machinery for 20 vertical markets, including electronics, beverages, automotive, produce, paper, and pharmaceuticals. To learn more about Econocorp’s innovative packaging solutions or visit them at the Pack Expo, call (781) 986-7500 and speak with an Econocorp expert today.